A Free Gift to You! My book, The Moringa Tree - What you do not know can HEAL you! has been selected to participate in a special free offer from Amazon Kindle. From now until 10pm Central Time on December 3rd, anyone who wants it can go onto Amazon.com and download a 100% free digital copy. No strings attached, 100% free. You just need a free amazon account to download it. Neither I, nor amazon.com are making any money off of this. My desire is simply to get the information about this incredible medicinal out to as many people as I possible can! You can also check out a power point presentation I have prepared by clicking here. Follow the steps below to get your free download! That will bring up a list of my books. - Click on The Moringa Book! Notice that the Kindle Price is $0.00. Click on it. 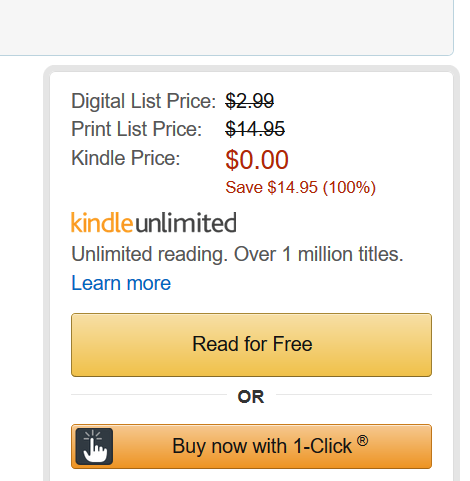 You will see that the kindle priced is $0.00. Just click the buy button and you are done! To see for yourself that the book is indeed 100% free, and to download your own copy, just go to amazon.com and search for my name - Joe Urbach, the result will show you several of my books. 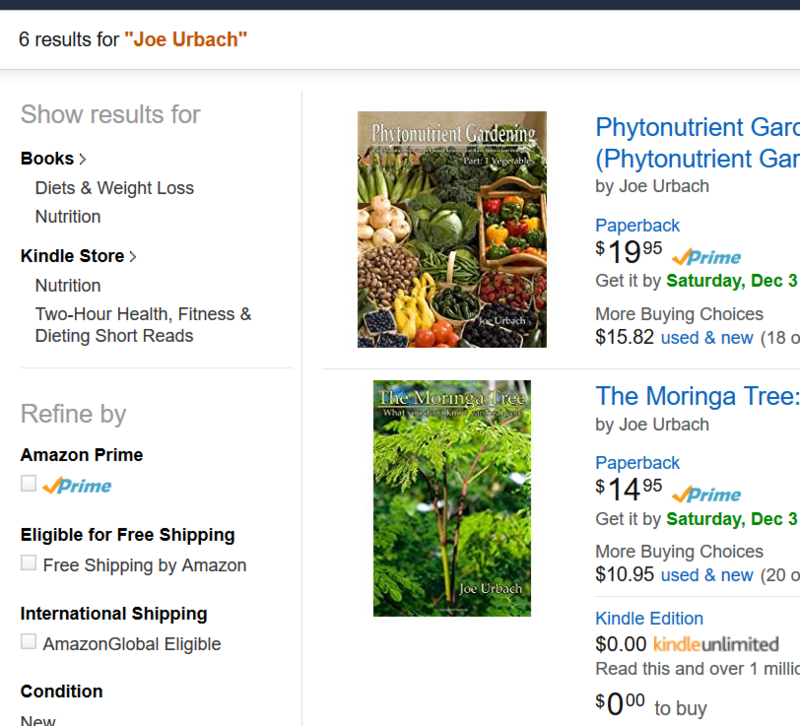 Click on The Moringa Book (usually the second book listed) and you will see the Kindle price is $0.00. (Free). Click to have it downloaded. I would love for everyone to be able to benefit from the information I provide in my book. I hope you will download this book for yourself and tell all of you friends about the free offer too!